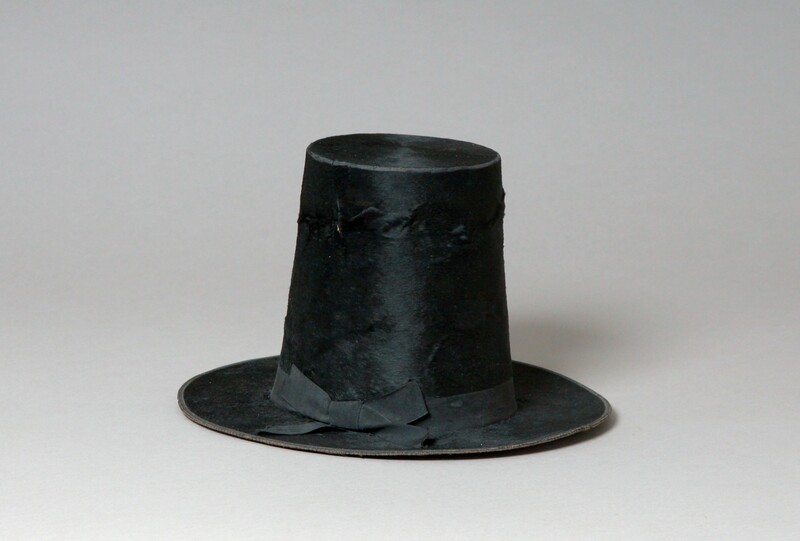 A 19th century Welsh hat, with original banding. Makers label inside “Best Quality, Evan Jones Hat Manufacturer Cardigan”. In the Pigots & Co directory for 1844, Evan Jones, Hatter is recorded at Pendre Cardigan.